The location was great. Right near the Parap shops. The tv remotes were easy to use and find. The soap provided was nice. providing 4 towels for a week stay was useful The groceries in general was nice touch. Fresh fruit and chocolates, good range of teas and coffees. Cereal and milk provided for breakfast. Large bed. The bed was comfy, the unit was clean. The owners very generous with what they had in the unit. Lots of added extras like fruit, chocolate, chips, good coffee and teas, and breakfast supplies which we were not expecting. Prompt communication. Clean comfortable accomodation. Late check out and transfers to airport. Relatively modern and clean with good free wifi. Handy to bus stop and local shops. Very helpful and friendly hosts. 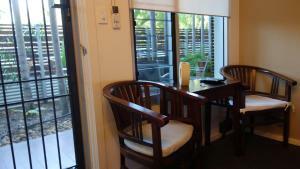 Bali Studio is located right in the heart of Parap close to the shopping village and Saturday morning markets. 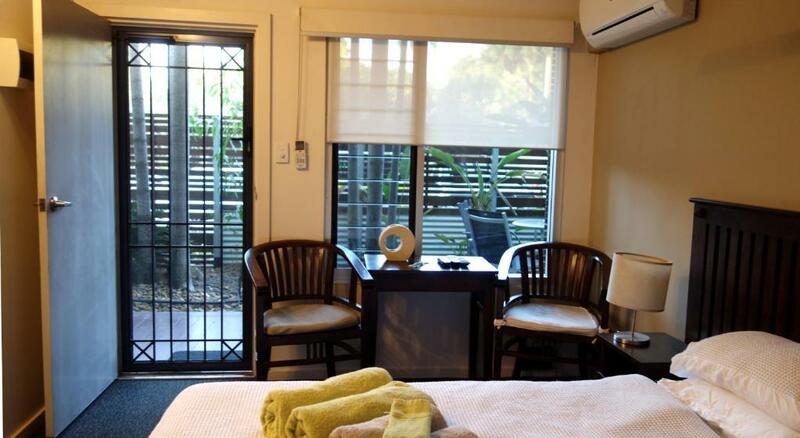 The studio itself is very well presented and has everything you could possibly need to make your stay in Darwin comfortable. Abdur and Jennifer are excellent hosts and went out of their way to ensure that I knew all I needed to make the most of the local area and Darwin’s attractions. I particularly appreciated Abdur’s assistance when my flight into Darwin was delayed. He went out of his way to make sure I had access to Bali Studio in the very early hours of the morning and was able to get settled quickly without any problems. Overall I would highly recommend Bali Studio for anyone wanting a relaxing place to stay that has easy access to public transport to take you into the CBD. The chocolates, fruit and cereal and milk. Close to Parap market. Comfy bed. Very hospitable hosts. Accomdated late check in and very flexible check out time. Great coffee shop with yummy food close minutes away. Parap market on sat morning so close. 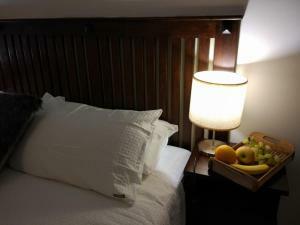 Location was great, easily accessible and the room was in a little less than in perfect condition. 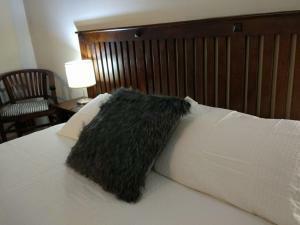 Lock in a great price for Bali Studio – rated 8.6 by recent guests! Located in Darwin, Bali Studio provides accommodations with a fitness room. Complimentary WiFi is available. Fitted with a patio, the units feature a flat-screen TV and a private bathroom with shower. A microwave and toaster are also provided, as well as an electric tea pot. This property has a grill. Museum & Art Gallery of the Northern Territory is a 20-minute walk from Bali Studio. Darwin International Airport is 5 miles away. Parap is a great choice for travelers interested in museums, markets and tropical weather. When would you like to stay at Bali Studio? 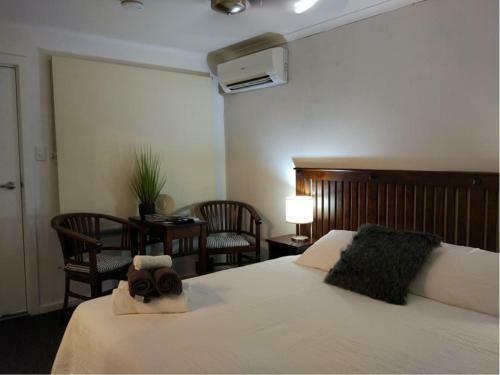 Bali Studio is a cool and comfortable studio within a hotel complex. It's Parap Village location is a very vibrant and convenient part of Darwin. 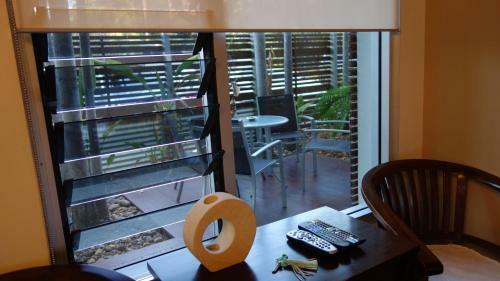 With quick and easy access to the CBD, markets, beaches, airport and a variety of shops and cafes all on the doorstep. Parap is an inner city, traditional Darwin, neighbourhood. A little quieter than the city, yet is only a five minute drive. With plenty of leisure options in the immediate vicinity such as botanic gardens, Mindal and Parap markets, Lake Alexander, Casino, Golf, Cullen Bay Marina, East Point beaches and walking path, Museum and more, the location is superb. House Rules Bali Studio takes special requests – add in the next step! Bali Studio accepts these cards and reserves the right to temporarily hold an amount prior to arrival. Please inform Bali Studio of your expected arrival time in advance. You can use the Special Requests box when booking, or contact the property directly using the contact details in your confirmation. Abdur, who met us, tried hard, bringing with him a number of small extras such as fruit, milk and breakfast cereal and was welcoming. However, I have to say that this accommodation was extremely disappointing, thanks to the disparity between what was advertised on booking.com and the facilities we found when we arrived. 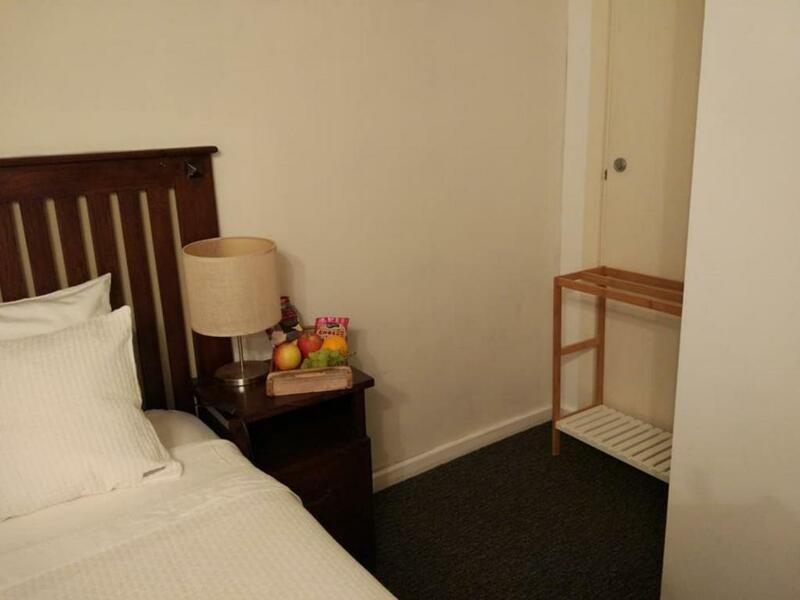 Advertised as a ‘Studio Apartment’, the property is, in fact one rather small room with a large double bed taking up the majority of the space. Separated from this room by a sliding glass door - which was difficult and noisy to manage and really gave little privacy, was a tiny area with toilet, washbasin and shower which make up the en-suite facilities. On shelving within a cupboard in one corner - which was clearly a wardrobe at one time - have been squeezed a refrigerator, a kettle, an iron, a toaster and a microwave. The wardrobe that is claimed to be available is, in fact, three coat hangers in a corner, swinging on a door closer. The ‘kitchenware’ advertised in the property description, consists of two plates, two bowls two mugs and a small number of pieces of cutlery. There is nowhere to wash this crockery except in the washbasin in the “bathroom”. There are NO pots or pans available. Contrary to the description on Booking.com, there is NO kitchen or stovetop within the room, where food might be prepared : we were shown a common area, upstairs, which is used by numerous other people who live in similar units in the block. There was NO patio and NO outdoor furniture NOR outdoor dining area dedicated to this room, other than a table and set of chairs, near the room we had, that was in continuous, noisy, use by other unit holders. 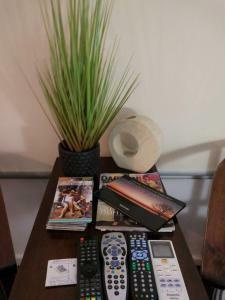 There was NO washing machine and NO tumble dryer within the room ; instead, we were taken to a room elsewhere in the complex which contained one each of these items and which were available for use by all, at a cost of 5 Australian dollars every time. The microwave oven is filthy and wasn't clean the fridge. The bathroom / toilet was a bit squishy, very hard to manoeuvre about in the cramped space. Some improvements required: the A/C needs attention as it drips badly; there is no light at the mini kitchenette area so hard to see whats doing; a definite lack of power points for charging laptops phones etc. The room is privately managed, so there is no service from the reception desk of Casa on Gregory which is the apartment complex. The ensuite was disgusting. No room to move and could only stand at basin with door open. A dangerous glass door that made a clanging noise when moved was so bad I nearly fell on it. Toilet end was so cramped I had to stand outside to redress. Worst unit we have ever stayed at. It was supposed to be an apartment but was only a room. Very little hot water for shower and took forever to reheat. No kitchen basin to wash dishes, only bathroom sink with no plug. I have a mobility and balance problem and this unit was not disability friendly. The only thing to like was the bed. A gracious host met me at the property.